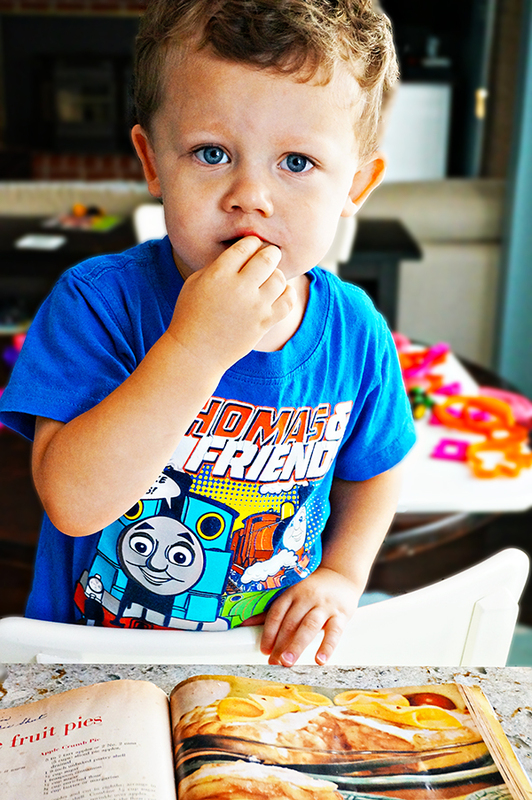 Looking for an extra special breakfast or after school snack for back to school? 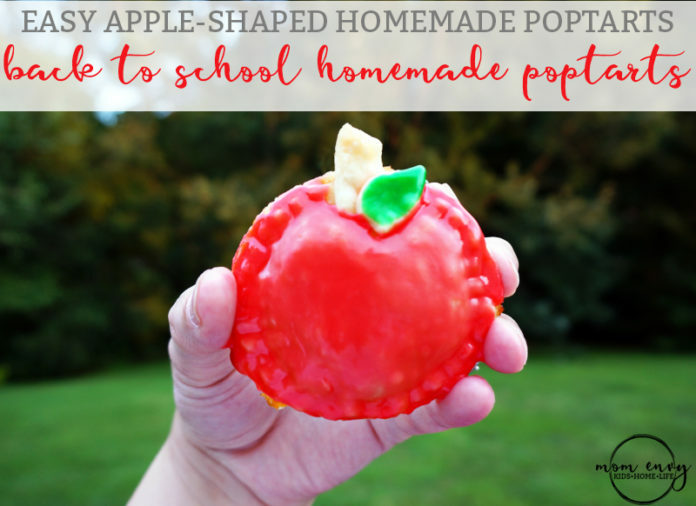 Try these easy homemade back to school poptarts. When searching for my s’mores round-up recipes, I saw a lot of homemade poptarts (including this one). They looked amazing and I knew I had to try making my own. I decided that back to school was a great opportunity to make something special for Carl. Now, obviously, we can’t make these for every day of the week, but they make the perfect little treat to start the new year. My favorite thing about making homemade poptarts is that you can put any filling you desire in them. 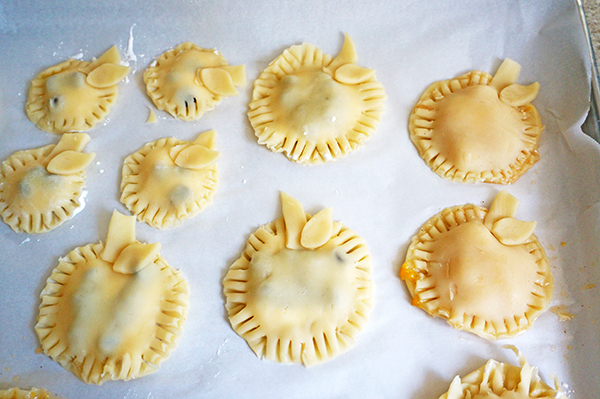 For my recipe today, I went the easy route and used premade pie crust. 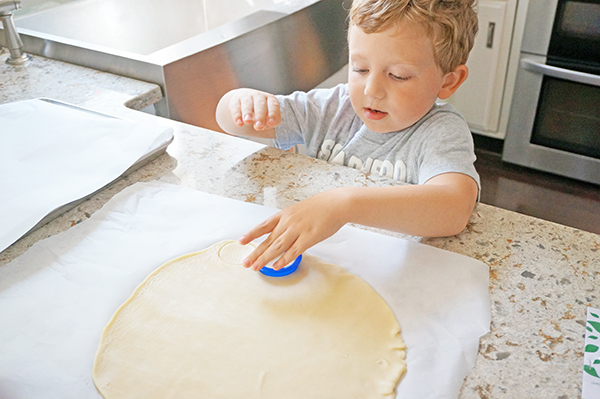 Pie crust is one of those things I have had trouble getting right (little hands touching the ingredients make it a little difficult). 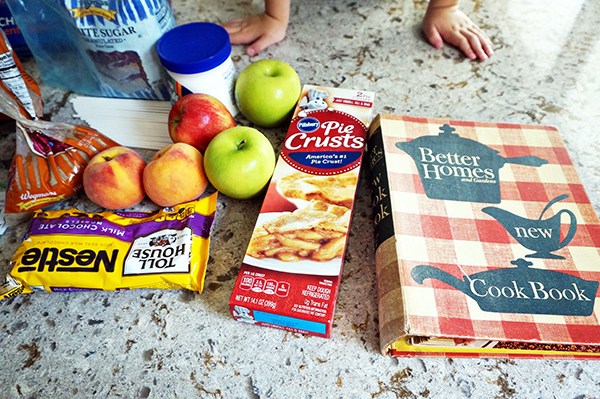 When I am pressed for time, I just grab premade crust. 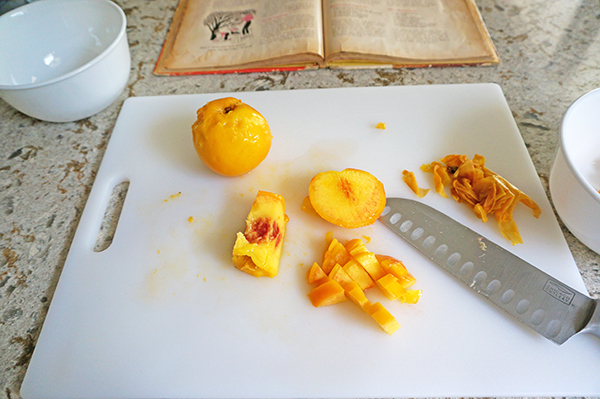 To channel my Grandma, I flipped through her old cookbooks and found a peach filling. 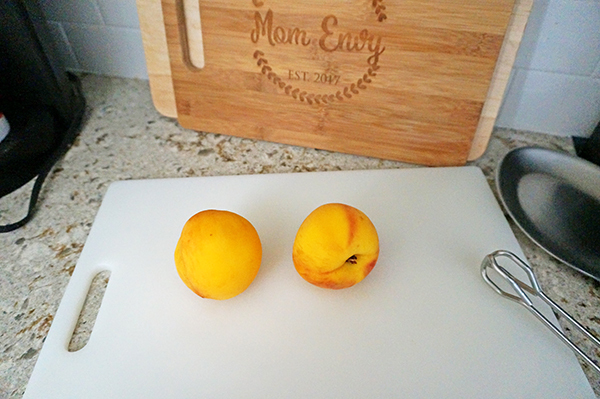 We had fresh peaches from a local farm that I wanted to use up. If you use the store bought pie crust and some preserves, you can make these poptarts so quickly and easily (even making the pie filling from scratch was easy, too). The recipe is below. 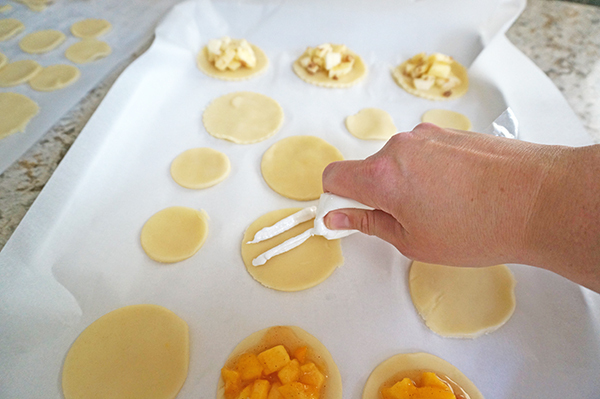 Unfold the pie crust onto parchment paper. Cut the main part of the apple using a circle cookie cutter or upside down glass. Cut out an even number of circles because each apple takes 2. Keep the scraps (you’ll need them). 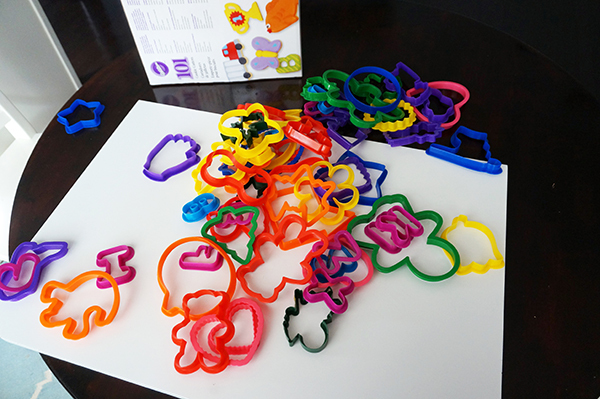 The boys had a great time playing with the cookie cutters. It’s always a struggle finding them all afterwards. Count the number of circles you have and divide the number in half (this will depend on the size of your cookie cutter/glass). This will be the number of stems and leaves you need to cut out of the scraps. Cut out the leaves with a leaf cookie cutter or freehand with a knife. Cut out the stems using a knife. It should be a tall, skinny, rectangle, the shape of a stem. 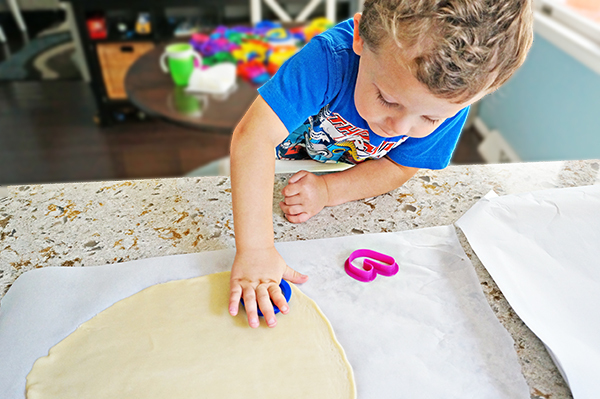 Lay half the circles on parchment covered baking sheets. 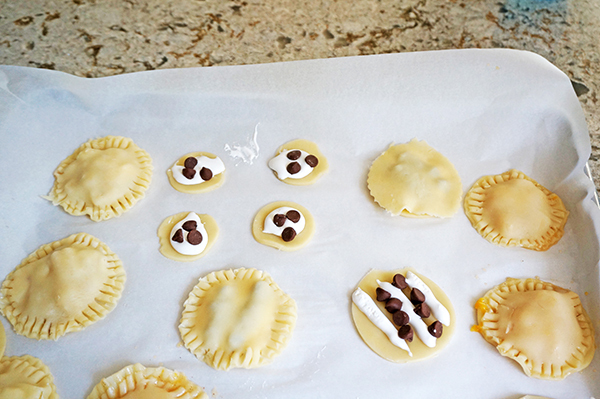 My youngest kept stealing the poptart filling while I was working on the recipe. Fill each circle poptart with your desired filling. 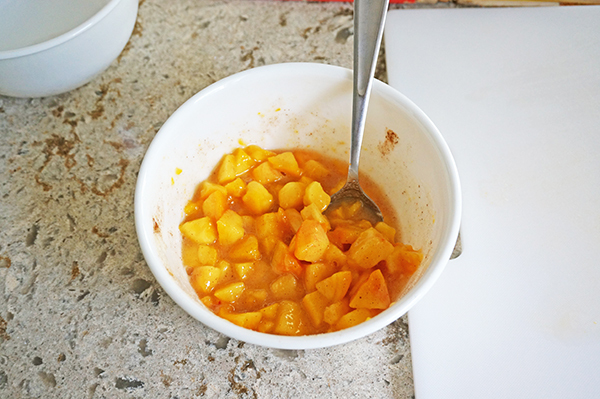 We used peach (see below) and s’mores. Place just a small spoonful in the center so that it doesn’t become too full. For the s’mores, alternate a marshmallow row (using a pastry bag or sandwich bag) and a row of chocolate chips or place a small spoonful of marshmallow with a few chocolate chips on top. Run a wet finger around the border of the bottom crust (go around the filling). Place the top circle on top of the bottom crust/filling. Gently press around the edge. Use a fork and press around the edges of the poptarts to seal them (pictured above and below). Brush a small amount of water on the underside of the stem. Place the stem on the top edge of each circular poptart, slightly overhanging (see below). Brush a small amount of water on the underside of the leaf. Place the leaf on top of the circle and slightly over the step of each apple (see below). Bake for 7-10 minutes or until the top crust is a lightly golden brown color. Take about 1/4 of the icing and place it into a small bowl. Mix in green food coloring. In the remaining glaze, mix in red food coloring. 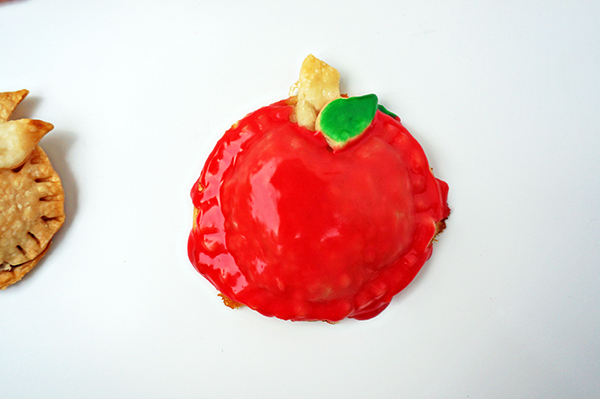 Using a pastry brush, paint red glaze over the apple. Be careful not to hit the stem/leaf. Using a pastry brush, paint the leaves green. 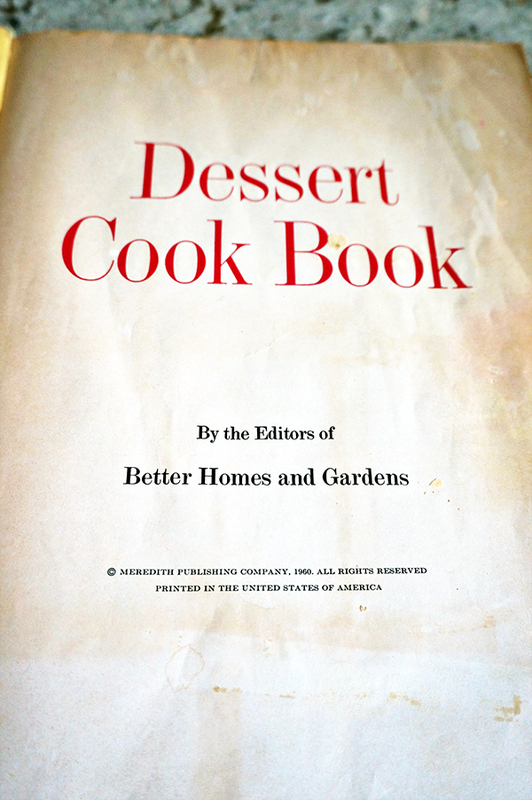 I took the peach pie filling recipe from my Grandma’s vintage Better Homes and Gardens dessert cookbook from 1960 and modified it slightly. 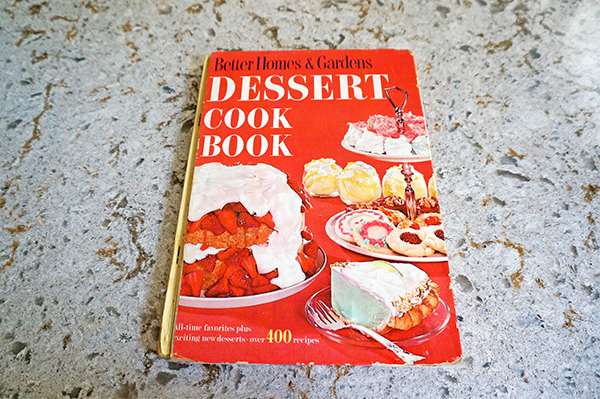 I find comfort flipping through the pages of her once-loved cookbooks. 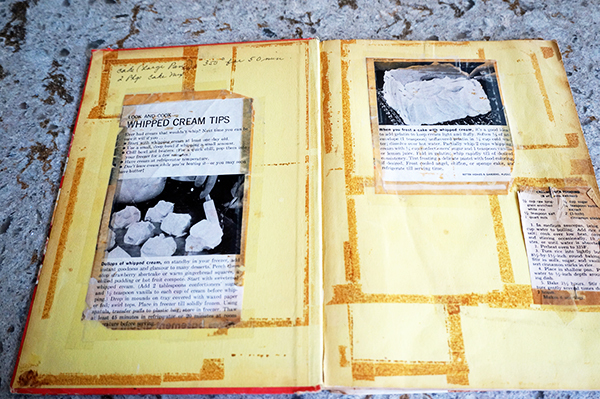 The water stains, food splatters, and age spots on the cookbook pages tell a story of days spent in the kitchen preparing nightly dinners and cooking for her family on holidays. 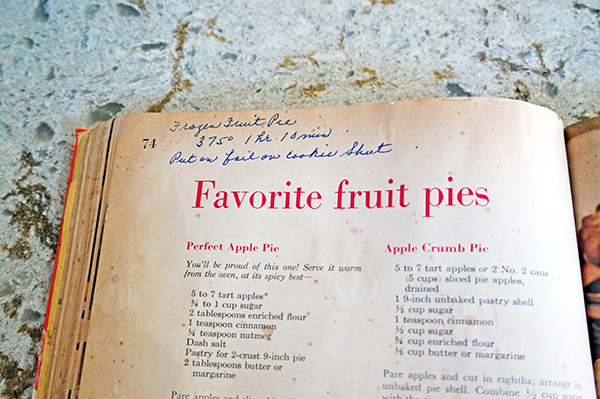 The stains are representative of the love my Grandma had for her family (and baking). Simply mix the ingredients below together. 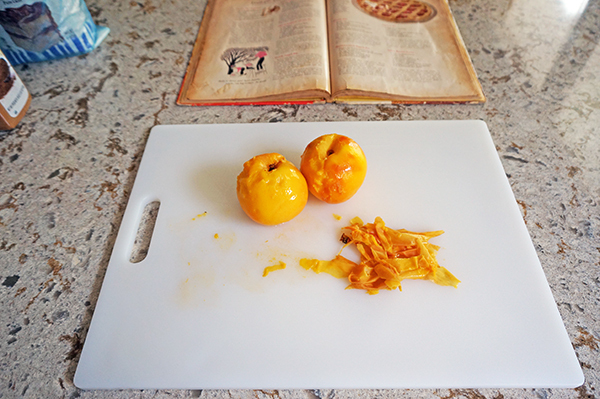 **Want an easyway to remove the skin of a peach for a pie? 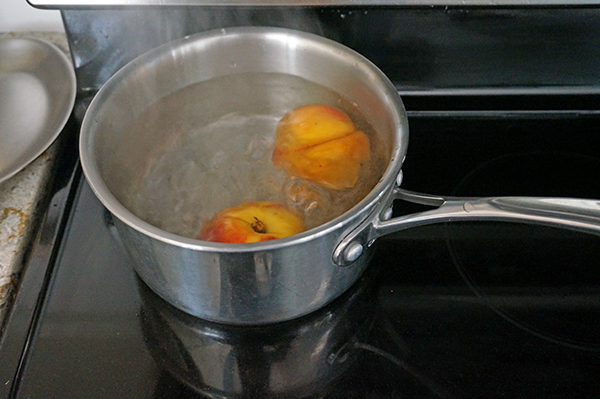 Place the peach in a pot of boiling water for about 30 seconds. Then let the peach cool. Peel the skin, it comes right off! These poptarts look so good! My kids would love them for breakfast. Thanks, Sara! 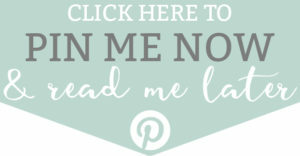 They’re super easy, too! Thanks so much for stopping by!